Dr. Jeff Buske’s patients can now take advantage of a minimally invasive gum disease treatment in Mansfield, TX that removes the infection using patented laser technology. Dr. Jeff Buske Brings Laser Gum Surgery to Mansfield, TX. Patients in Mansfield, TX now have the option of treating their gum disease with the Laser Assisted New Attachment Procedure (LANAP), a minimally invasive alternative to traditional periodontal surgery provided by Dr. Jeff Buske. Although traditional periodontal surgery is still an effective and commonly used method for eradicating gum disease, the drawbacks that often accompany the procedure deter many people from seeking treatment. Because incisions are made in order to remove the infection from the gums, standard periodontal surgery can cause some pain and discomfort as well as bleeding and longer healing time. Gum recession is one of the most noticeable shortcomings of traditional gum surgery. When dentists cut and remove infected tissue, some portion of the healthy connective gum tissue inevitably goes with it. As a result, a patient’s gum line might be lowered anywhere between 2mm to 15 mm. Gum recession can dramatically alter the appearance of the smile, sometimes giving it a “gummy” look. The PerioLase MVP-7 laser applied during LANAP is capable of detecting and vaporizing only the diseased tissue without disturbing healthy gum tissue. Consequently, the procedure is able to restore patients’ oral health without the complications of traditional periodontal surgery. Another benefit exclusive to LANAP is the stimulation it provides, which encourages bone regeneration and helps prevent future loss. More information about gum disease treatment in Mansfield, TX can be found on the Mansfield Dental Center website at http://www.mansfieldtxdentalcenter.com. Mansfield Dental Center is a general practice offering personalized dental care for patients in Mansfield, TX. Dr. Jeff Buske received his DDS from Baylor College of Dentistry and is part of one percent of dental professionals providing the only FDA cleared laser procedure for gum disease and periodontal treatment. Dr. Buske trained at the world-renowned Dawson Center for Advanced Dental Studies and is considered one of the world’s top implantologists. 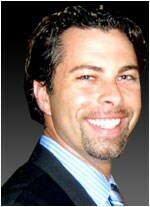 To learn more about Mansfield Dental Center’s services, please visit http://www.mansfieldtxdentalcenter.com.